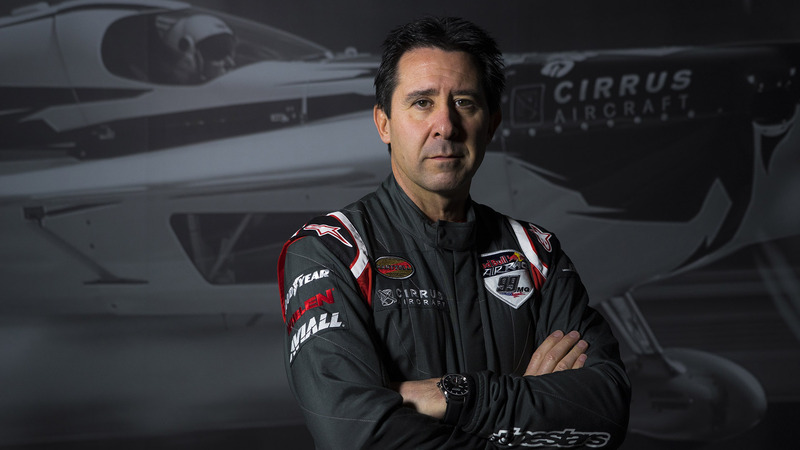 Mike Goulian and Team #99 are poised to begin the 2017 Red Bull Air Race World Championship season February 10th and 11th in Abu Dhabi, UAE. The brief winter off-season allowed for various technological and aerodynamic improvements to be made to the Edge 540 race plane. It also provided Goulian the opportunity to reinforce the continuing corporate partnerships that enable the team to pursue its competitive focus throughout the year. Team #99 is proud to be partnered again with Hartzell Propeller, Cirrus Aircraft, and Bose Aviation for the entire 2017 air race season. These three partners represent some of the best organizations in aviation, a fact not lost on Goulian. “These great companies have invested in me and my team in so many ways. Having their trust inspires us every day to work hard and to live up to their examples of success and dedication.” Hartzell has partnered with Mike Goulian’s air show team since 2004. Hartzell, Cirrus, and Bose are all in their 4th consecutive year of supporting the racing team. In addition to these team partners, team #99 has brought three personal sponsors back for 2017: Whelen Engineering, Goodyear Aviation, and Aviall. The team is extremely proud to include these partners into the Red Bull Air Race family of supporters, as they are an integral part of the entire team worldwide. Thanks to these partners, Mike Goulian and Team 99 continue the pursuit of a championship season in the Red Bull Air Race. Red Bull Air Race World Championship Coming to NBC Sports!